Chaseyboy is marathoning (for the nth time) Naruto, (oh I'm missing Japan now) and as expected, he needs his Ramen fix. We found Ajisen Noodle near us. Yay! Ajisen Noodle (Ramen) in Fremont. 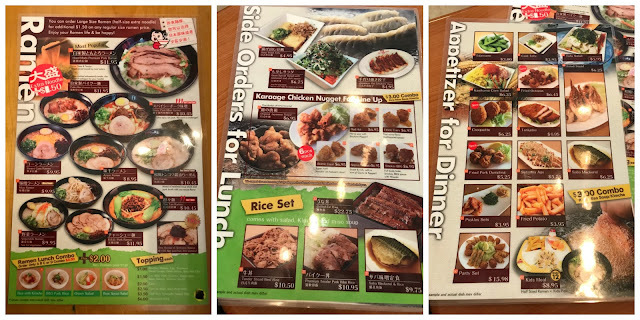 We've been on a lookout for Ajisen since trying it out in Singapore. All mine. Spicy Pork Miso Ramen. It's super spicy for my liking but I survived it, it's borderline Samyang Cheese Ramen level. Ramen choices are the same. Except hubby is hoping to have the dry ramen, which he had in Singapore. P.S. When in Manila, check out Kitchitora or Shin Sen Gumi, when in LA.